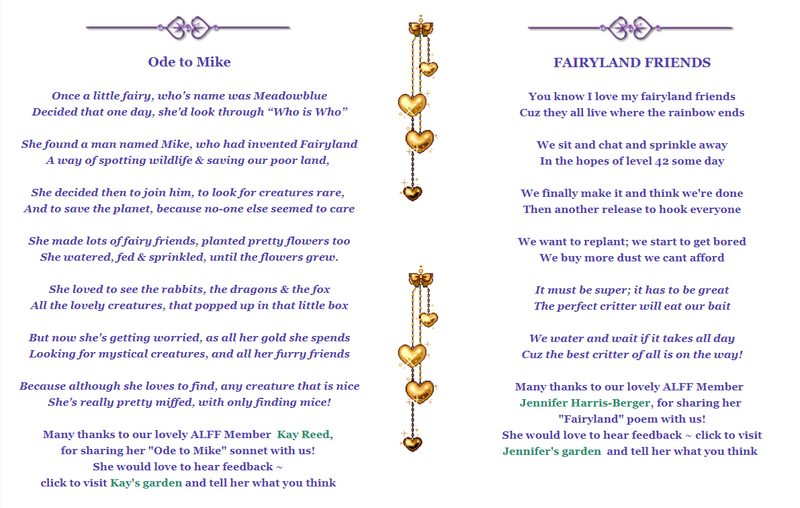 Welcome to ALFF LOVE - Largest Facebook Group for "Fairyland"
ALFFLOVE has EVERYTHING you could ever want to know about Fairyland! 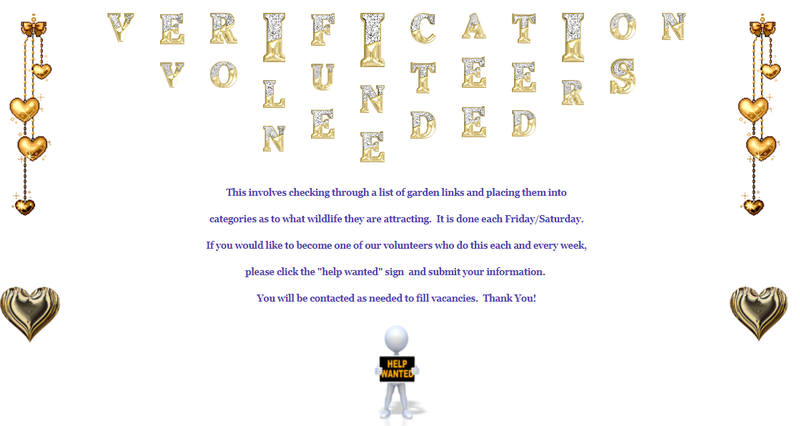 to help you hunt and grow your garden successfully! to reach the higher levels. It was through this desire to play smarter and not harder that ALFF and its motto were born. ALFF Members, Member Volunteers, and Admins provide for one another, each and every day. Please remember that ALFF is an open Facebook Group that is run by volunteers. harassment or improper behaviour while playing the game, you need to report the issue to Facebook for resolution. you are sure to find that and more at ALFF. "Largest and Most Awesome Facebook group" for the game Fairyland." Just "like" the page to become a member and post your garden link to be added to our hunting lists to generate more visitors to your garden with a chance of making new fairy friends. We have nearly 11,000 members so far and you could be one of them! Lots of chances to win gold or diamonds in our group games too ~ come and join in the fun. press the CTRL and the + key at the same time to increase the size.